Scott Howard and his wife Lucy Kivel are the founding members of Kivel & Howard LLP, a Portland-based law firm. Kivel & Howard provide legal services to closely held businesses. Scott’s primary role involves guiding the overall direction of the firm and consulting with the firm’s clients. He works primarily in the areas of business planning and transactions, succession planning, estate planning, and charitable planning. Scott’s community involvement includes supporting Oregon non-profit organizations as an advisor and through committee and board membership. 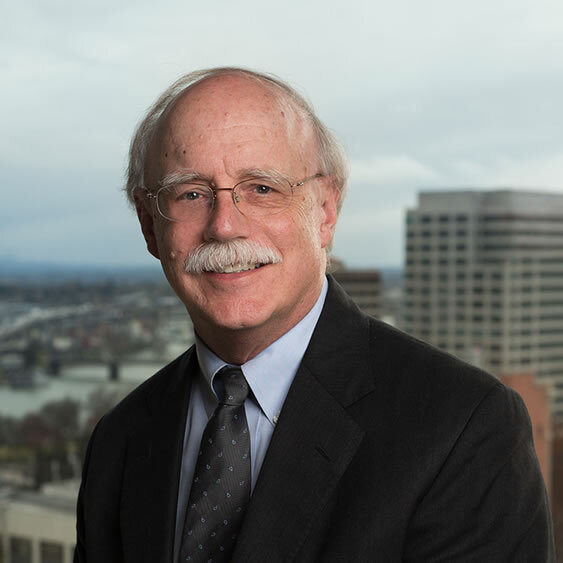 Scott has served on the Board of Directors of the Oregon Symphony Association, the Oregon Ballet Theater and the Multnomah Athletic Club. Recently Scott finished a four-year assignment with the Portland Center for the Performing Arts chairing its advisory committee and developing its strategic plan. Scott counts among his most meaningful successes the establishment of Park Academy, a school serving dyslexic children on the campus of Marylhurst University. Scott earned his B.S. in Psychology and Political Science from Occidental College before earning his Juris Doctorate at the McCulloch School of Law at Whittier College. Scott and Lucy enjoy the company of their two adult children.